The largest forklift trucks in Doosan Industrial Vehicle’s 7-Series range have started rolling off the production line, bringing to market 10 tonne to the mighty 16 tonne trucks, combining power and performance. Built at the company’s state-of-the-art production facility in South Korea, the D100S-7 to D160S-7 models are ideally suited to demanding industrial environments including heavy manufacturing, mining, construction and the metals and timber industries. The trucks boast a strong and rigid chassis frame, a more metal than plastic design for added durability, and the new tilting Zeus Cabin, which provides a superb all round 360-degree view and excellent ease-of-access and comfort for the operator. The entire 7-Series range is also fitted with Doosan’s award-winning G2 engine which meets stringent new EU emissions standards without using a costly diesel particulate filter (DPF). The engines dramatically reduce maintenance downtime as well as setting a new benchmark for fuel consumption at a time of increasing costs for forklift users. 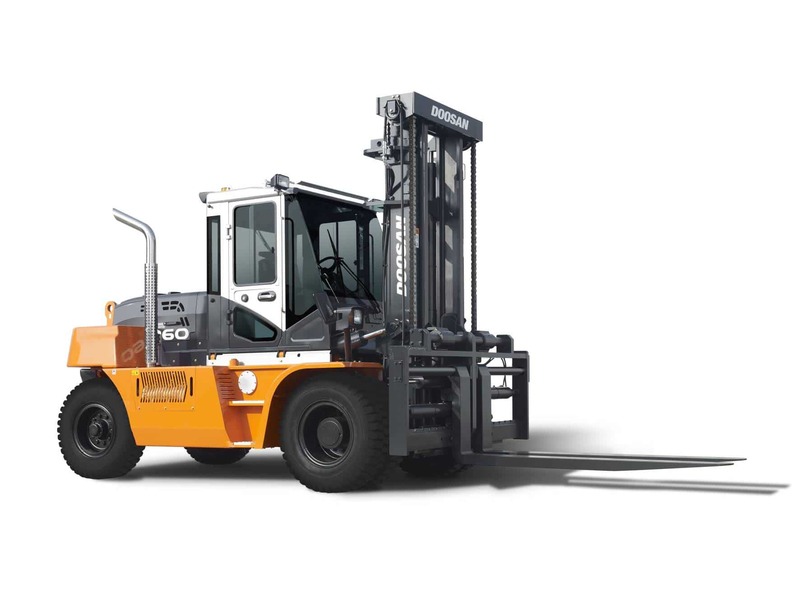 Tim Waples, Director of DIV UK, comments: “Following the launch of our 2.0t to 5.5t models in 2014 and the 6.0 to 9.0t models in January of this year, these larger models mean customers seeking a forklift for every application can benefit from the technological excellence our 7-Series range delivers. By using Diesel Oxidation Catalyst (DOC) exhaust treatment technology along with an Exhaust Gas Recirculation (EGR) system, the G2 engine fitted across the Big Truck range gives 23% lower fuel consumption than engines of comparable size. It also means longer maintenance intervals and maintenance-free after-treatment systems that reduce the total cost of ownership over the life of the engine.